Teen model and pop idol wearing a gingham dress and fuzzy sandals while out and about in Harajuku. 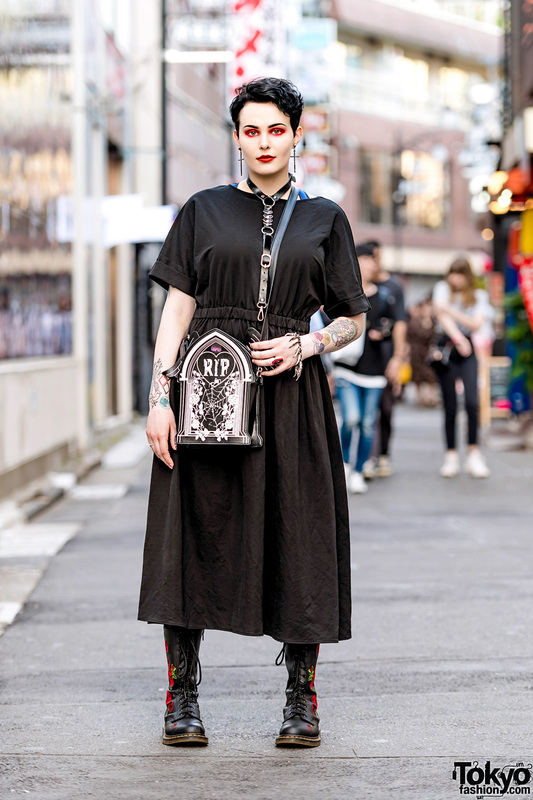 Harajuku girl sporting red makeup and all black gothic look while out on the street. 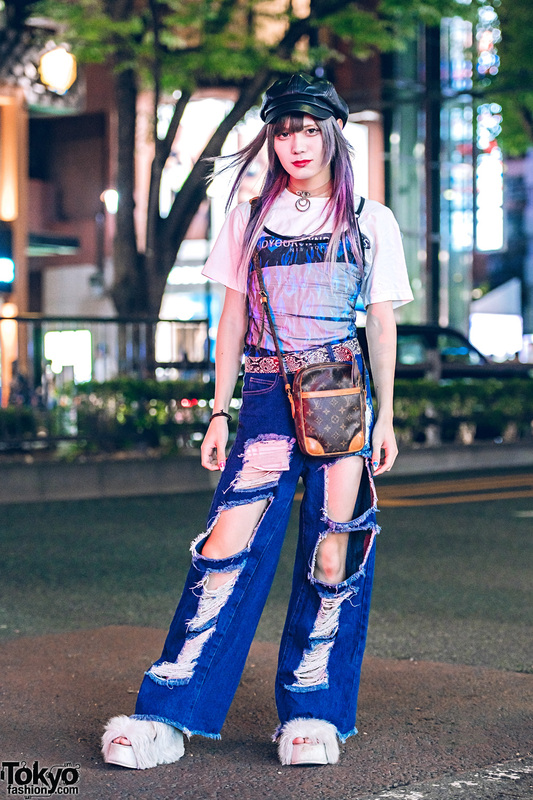 Japanese Teen in Kawaii Vintage Street Style w/ RRR Show Room, WEGO & G2? Teenage pop idol in color-coordinated fashion while out and about in Harajuku. Harajuku girl in twin braided buns, blue floral top, and yellow-and-black pleated skirt.